We have faith in the old rugged cross. This simple elongated hand cast cross is a beautiful reminder of where we get our faith from... the empty cross (because our Lord lives). 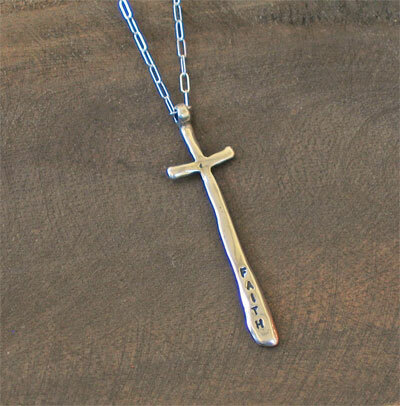 This silver handcast cross will make your faith visible! 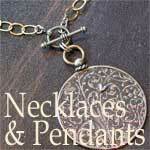 The pendant measures 2 3/8" long by 5/8" wide. It has been strung on a delicate silver 20" adjustable chain.